Yesterday simply was a good friday! 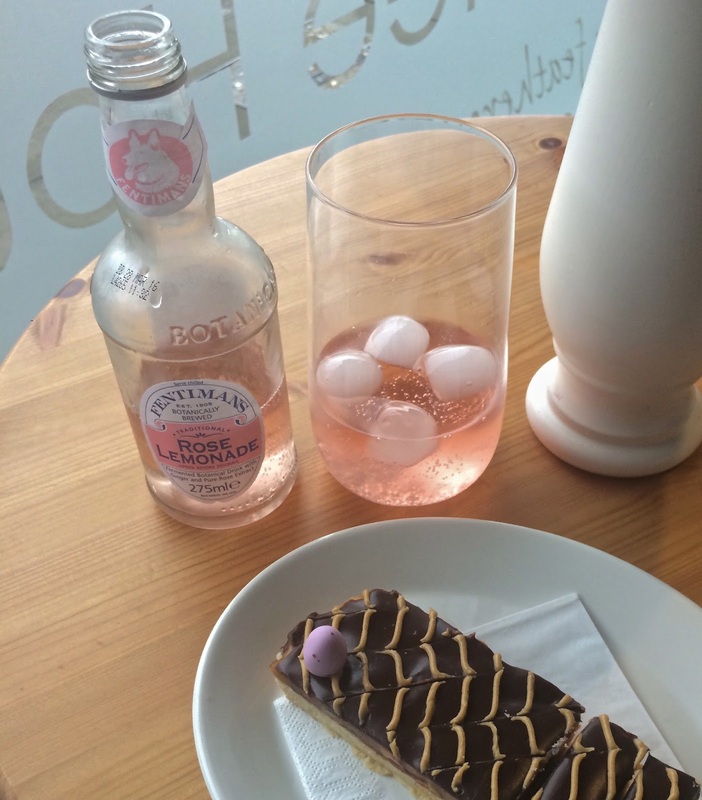 Myself and the 'blogging girls' as I call them, visited Fareham and stopped for tea and cake at the new Brasserie & Coffee House, Cackleberrys (which is fittingly a slang word used for egg in the 1950's). Unintentional but seeing as it is Easter after all, we like to follow the theme! 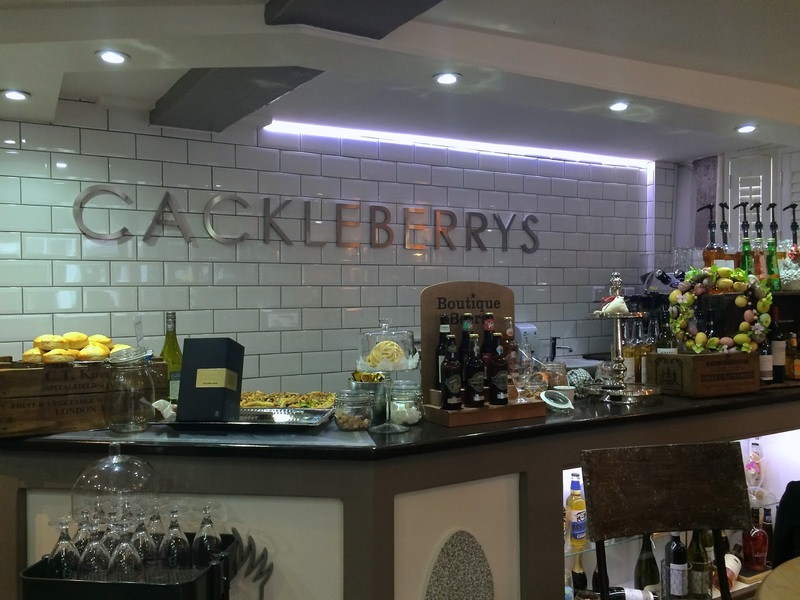 Cackleberrys offers a delightful selection of cakes, pastries and made to order food with the option to takeaway, as well as a large variety of drinks - hot or cold. 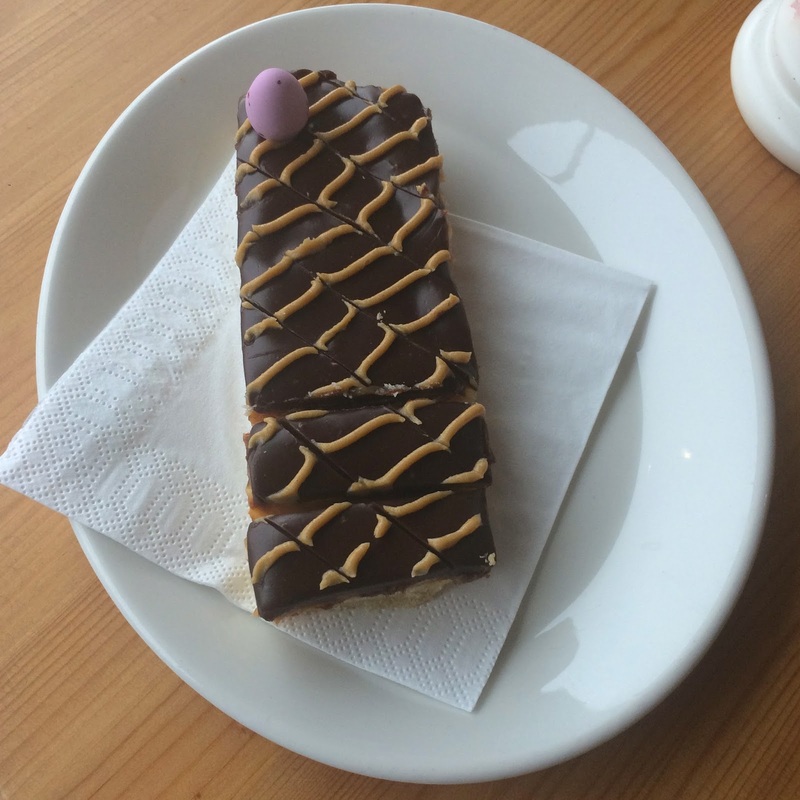 They also have available gluten free cakes, which makes life easier for those who are celiac but still want a sweet treat. The staff were fantastic and couldn't have been lovelier! They do all they can to make you feel welcome from the minute you walk through the door, creating an enjoyable atmosphere. 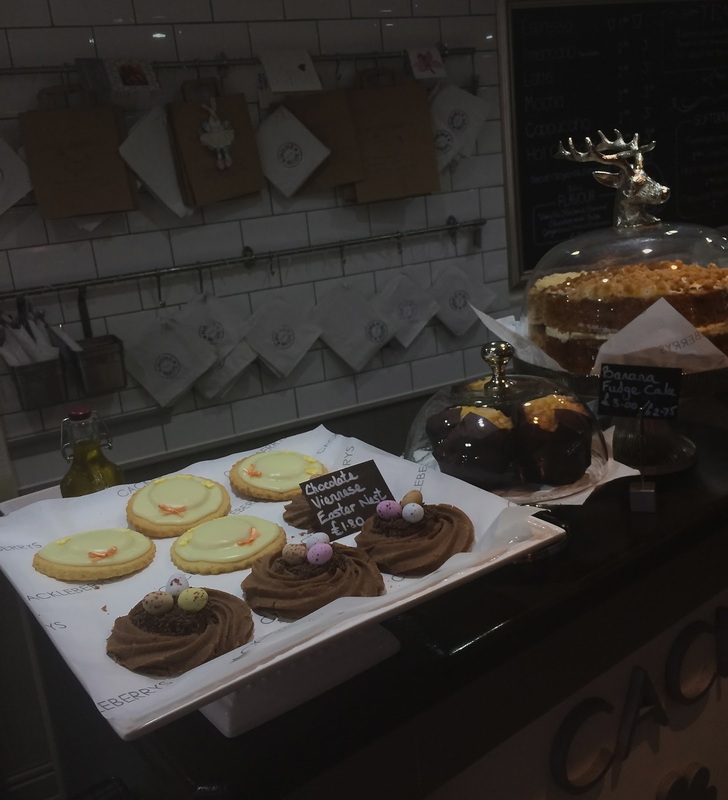 The small but unique and cosy eatery is tipped to perfection with it's gorgeous decor. It's not often I visit Fareham, however, now I know this little gem exists I will be returning. Next time, trying the savoury option is a must. PS. I'd advise booking in advance as it's definitely a popular one.